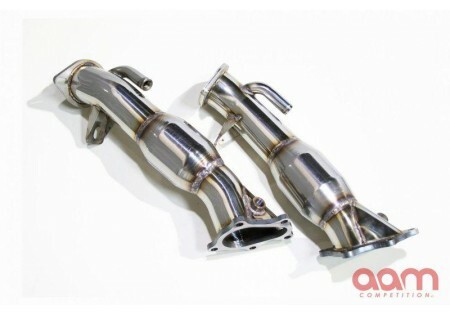 AAM is proud to introduce our newest exhaust upgrade for the Nissan GT-R: the AAM Competition 3'' Catalytic Converter Downpipes. 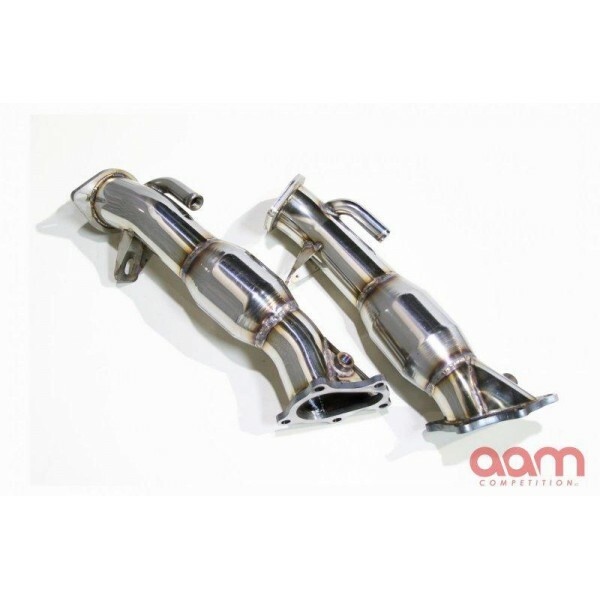 Produced from highly durable 16-gauge T-304 stainless steel, the AAM Competition 3'' Catalytic Converter Downpipes is an essential upgrade to optimizing your GT-R's exhaust system and vehicle's power. With a turbocharged vehicle, power gains through exhaust flow is a basic concept - get the exhaust gases out as quickly as possible. AAM Competition 3'' Catalytic Converter Downpipes will allow the turbo to spool faster, harder, and more efficiently - gaining new power. A secondary benefit from the additional exhaust flow after the turbo is lower engine temperature. Because we are evacuating the heat faster and with less resistance, there is less time for heat to build up. The result is a noticeable power gain across the entire rpm range as well as the ability to support additional peak power.